Kearny,NJ– I’m currently taking a break while my truck gets loaded, having driven down to Hicksville,LI from Rochester,NY last night. The truck was serviced yesterday, and I’m told lost more will be repaired on my day off on Friday. From here, I head back for Rochester, and home. I’m off on Friday for a day with my wife. 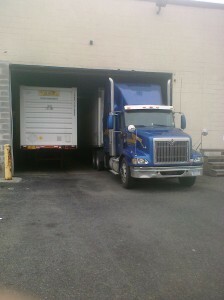 Here’s a quick shot of the truck in the dock here at Kearny. Rasmussen says they’re not gonna be much of a bump. Even F. Chuck Todd, NBC, says there isn’t gonna be a bump; maybe there aren’t bumps anymore. CALLER: I have questions for those who are calling this gentleman who cloaks himself in the presidency of the United States and the leader of the free world ……. Where this person has been for the last three months. We have Texas burning to the ground. It was at that time. Wheat, corn, other crops destroyed. We’ve had flooding all up the Mississippi, through the Ohio Valley. Prior to this horrible tornadic activity of the E4 and E5s in Mississippi, Alabama, and Georgia, 18 counties in my own state… Now, I’m far removed from the damage. I’m in Piedmont, North Carolina. But 18 counties of my fellow North Carolinians have been destroyed. Destroyed! Not a word. No boots on the ground from the leader and his Missus in North Carolina. CALLER: Not only that, he brings up this birth certificate thing and then says he has more important issues we should be addressing. He says that before the tornadic activity. RUSH: Well, he was playing golf. Playing golf. RUSH: Playing golf. He was playing golf. CALLER: — at $35,000 plus a plate. RUSH: You’re absolutely right. They had to drag him off the golf course to the Situation Room. He only played nine holes. He had to go to the Situation Room. RUSH: CNN, you can tell they’re disappointed with the release of their latest poll. Obama got a one-point bump in his approval number, up to 52% from 51% because of the death and the kill operation for Osama Bin Laden. One-point bump. Well, there’s a reason there. What approval Obama gets has never been based on fact. Facts changing, then, are not going to drive his polling significantly one way or the other. Unless, that is, he ventures outside the leftist mantra… and thereby hangs a point I think needs be made, here. Consider what we have here. We have a Nobel Peace Prize winner… (exactly why did he get that award, again? )… invading another country with a military force, no consulting with the UN, no consulting even with the country invaded, and carrying out as assassination. More, the information used to find and kill UBL was gathered by people, techniques, and agencies that Obama actively campaigned against, and ultimately outlawed. According to a whole stream of reports on the matter it was a combination of enhanced interrogations at GITMO as well as secret prisons around the world. Add to that the telephone and e-mail intercepts, warrantless wiretap, and so on… in fact just about everything Obama and his party were so vehemently against, were used to make Bin Laden dead. Brian Williams: I’d like to ask you about the sourcing on the intel that ultimately led to this successful attack. Can you confirm that it was as a result of waterboarding that we learned what we needed to learn to go after Bin Laden? 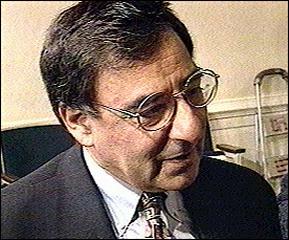 Leon Panetta: You know, Brian, in the intelligence business you work from a lot of sources of information, and that was true here. We had a multiple series of sources that provided information with regards to this situation. Clearly, some of it came from detainees and the interrogation of detainees, but we also had information from other sources as well. So it’s a little difficult to say it was due just to one source of information that we got. Williams: Turned around the other way, are you denying that waterboarding was in part among the tactics used to extract the intelligence that led to this successful mission? Panetta: No, I think some of the detainees clearly were â€” you know, they used these enhanced interrogation techniques against some of these detainees. But I’m also saying that the debate about whether we would have gotten the same information through other approaches I think is always going to be an open question. Williams: So, final point, one final time: enhanced interrogation techniques, which has always been kind of a handy euphemism in these post-9/11 years, that includes waterboarding. Remember, gang….Obama campaigned against these to gather support from the far left.So after lecturing us about this, he goes ahead and uses what he campaigns against and has the hutzpah to take credit for it? Does anyone imagine that these points wont come back to haunt him with his leftist base? Moreover, we have now a situation where we have little to none of the intel gathering ability we did when the info used against UBL was gathered, left, so arguably we are now more vulnerable to an attack than we were before. AlQuieda, after all isn’t dead merely because UBL is… a point which Obama himself admits. Speaking of Panetta, what’s the rumbling I’m hearing suggesting that Panetta and not Obama, gave the orders? It would certainly seem to explain the while thing a lot better. Obama hasn’t the balls for such things. Oh and did you see that Eric Holder, the Atty General was asked if he’d have called for a military trialfir UBL had he been taken alive? Unsuprisingly Holder ducked the question because it would involve him admitting he’s dead wrong on such matters. The Daily Mail is reporting that it took Obama 16 hours to decide to kill Bin Laden. I don’t know whether that’s true, but if it is, I’m reluctant to judge him too harshly. After all, he was very busy writing Trump jokes. 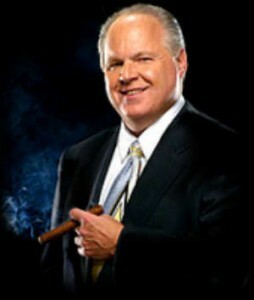 Indeed, and playing golf as Limbaugh’s caller pointed out.